There’s no way around it. Moving is stressful, even for those of us with the most hardened nerves of steel! Well, maybe not for those people, regardless though, for the most part, moving is not fun and emits feelings of stress and and anxiety. That’s why we created the TRULY most COMPREHENSIVE and ULTIMATE moving checklist on the interweb! All so that we may try and assist in keeping you on track with your upcoming move. Now, don’t be too worried about your move, because it’ll be over before you know it and moving to a new home can be a very exciting time and the beginning of a new chapter in your life! There are many things to be considered before and after your move but don’t worry, 2 months is more than enough time to get it all done. 8 Weeks Before Your Move! Start stashing that cash under your mattress and make sure you budget for moving expenses! Begin your research into moving company options. In order to obtain the most accurate quote for your move it’s recommended that you get an on-site estimate. Make sure you get an estimate in writing from each company and that it has a USDOT (U.S. Department of Transportation) number on it. Once you have a clear understanding of each section on the Estimate/Order Form for Service, only then sign the form. Make sure you solidify your move-out date and confirm your plan once it’s been officially booked. 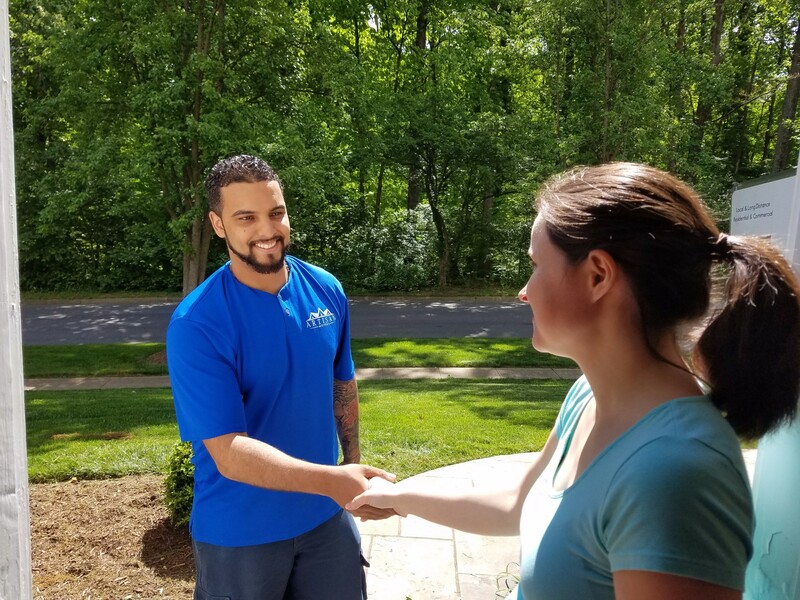 If you have any questions at all don’t hesitate to ask your move coordinator and keep their number handy, we’re always here to help you through the entire moving process, from start to finish. Make sure to consider everything that’s going to be moved and show the moving agent. You can add or subtract items later but that will result in a change to your estimate as well. Any items that were not disclosed or added later to the shipment inventory can result in a change in your original estimate, even if it’s a binding estimate. Determine how many packing supplies you’ll need for the move if you’re self packing. Unless you’re buying packing materials new, keep an eye out of for used items that could be used for packing, like old towels and sheets that could be used as packing material. If we’re taking care of packing for you, packing supplies will be included and you won’t have to worry about that. Now’s the time to start getting rid of that junk in the trunk! Go through each and every room of your house (attic included) and decide what you’re keeping and what you’d like to get rid of. While doing so, think about whether any items may require special packing or extra insurance coverage. Now is the time to determine whether you’re keeping, throwing away, selling or donating any items in your home. Make it a fun family project! Consider having a yard sale prior to the move to generate some extra cash to cover moving expenses and reduce the amount of stuff you need to move. Any items that don’t sell consider posting online at Craigslist, Nextdoor or LetGo for one last sales attempt. Anything that doesn’t go could be donated, given away or tossed. If donating, don’t forget to grab receipts as the value of those items could be tax deductible. Create a moving binder/folder and use this binder to keep track of everything related to your move—all your estimates, your receipts (which may come in handy as many moving expenses and donations are tax deductible), and an inventory of all the items you’re moving, and this list of course! Another good idea to include in this folder is a video or photos of your inventory list. It doesn’t hurt to have a visual record of your belongings before the move for insurance purposes. You don’t want the IRS to think you’re trying to evade them (wink wink) so you may want to obtain an IRS Change of Address form, Form 8822, by calling (800) 829-1040 or visiting the IRS website. You will be able to download and print form 8822 and most other IRS tax forms such as Form 3903 to help deduct moving expenses. Is your move being paid for by your company? If so, refer to the corporate policy in order to determine the moving services the mover will be authorized to perform on your behalf. Want to be able to kick back with less stress during the packing process? Let us know if you want help with that. Need your car moved as well? Let your moving representative know so we can discuss our variety of moving services with you in case you need any additional help. Research your new community and schools so you know as much as possible about the surrounding area before you move. Reach out to your insurance agent to aid in the transfer of medical, property, fire and auto insurance policies, and while you have them on the phone, if you’re making the move on your own — ask about coverage for your goods while they’re in transit. Health Club – make sure to empty your locker! Gather copies of all your legal and financial records. Make travel arrangements for you and your family in due time. Whether you’ll be renting a car, helicopter, hovercraft, scheduling a flight or reserving a hotel room, book it at a time that will give you flexibility in case anything goes wrong. Also, make sure to arrive well before your movers’ scheduled arrival time. Also consider how to move your pets long distance if you have any. Is your four legged family member nearing their regular exam? Consider scheduling it now and get it done, and start getting recommendations for veterinarians in your new town today. Will you need storage? Start researching your storage options now. Plan how you will move valuables and difficult to replace items. Will you be traveling along with them or maybe use certified mail? It’s always recommended that high value items such as jewelry, cash, watches, passports and other sensitive paper items be moved by you personally. Time to pull out those frozen veggies and other frozen culinary masterpieces. The plan here is to start using items that can’t be moved such as perishable foods, bleach, and aerosols (check out our do-not-ship items). Let’s start using it or losing it on those perishable items! Contact your insurance agent to see what changes you may need to make to your new policy. Reach out to your health clubs, organizations, and other groups you may be a member of to cancel or transfer memberships. Take measurements: If at all possible check room dimensions at your new home to ensure larger pieces of furniture will fit through the doorways. Now it is time to begin notifying others that you are moving; the post office is a good place to start. An online Change of Address form is available on the United States Postal Service website. File a change of address with the Postal Service, or ask them to hold your mail at the post office in your new city. Start with packing items you don’t use often and clearly label each box with its contents and which room the box is destined for at your new home. If you haven’t already make sure to pinpoint your move date as soon as possible. Please look for a highly rated moving company that has a proven record of reliability. I can’t tell you how many times we get calls from people begging to be moved that same day due to their originally scheduled movers bailing at the last minute or just never showing up to execute the move. Scan each room in the house and note what will and won’t be moving with you. Whatever you won’t be taking try to sell, donate, gift or trash. Also keep in mind, if you are junking or trashing a bunch of items, there might be a limit as to how much weight you can put out at the curb each week. Check your local municipality website for details. From this point forward try to only buy food that you will need up until move day and clean out cupboards prior to moving day. Be sure to review the non-allowables list for items that are not allowed in your shipment. If you’d like more information on how to properly dispose of those items we recommend visiting earth911.com to assist you in finding the appropriate recycling centers in your town. Make a packing plan — assign everyone a task and involve the kids (if you don’t have your own children borrow the neighbors). By now you should have a moving company selected and squared away with your moving date, costs and other details. Make sure to check with them to confirm all the details unless they’ve already done so recently. If you’re going to be packing on your own make sure you have the proper supplies to get the job done and mark the boxes with contents and rooms they’ll be going to at your new home. Also, make sure to mark boxes with “essentials” for items you’ll be needing right away once moved in. If you haven’t already, now would be a great time to start packing the things that you use least often, such as the toasted sandwich press and your set of yard darts. It’s also very important to note items of special value that might require additional insurance from your moving company. Time to make those travel arrangements for the family pets if needed and put copies of their medical records and immunization records in your move file/folder. If you haven’t already and you’d like to, now is the time to host that garage sale or sell whatever you can online. Whatever doesn’t get sold try to donate or gift and whatever is left should be taken to the dump. Separate your valuables: Add any important items such as your jewelry and important files to a safe box if possible that you’ll personally transport to your new home. Make sure to put the mover’s estimate in this box or keep it safely with you. You’ll need it for reference on your moving day. It’s always a good idea to ask a close neighbor to keep an eye out for mail after you’ve moved. Check in with them two weeks or so after your move, and once more two weeks after that. 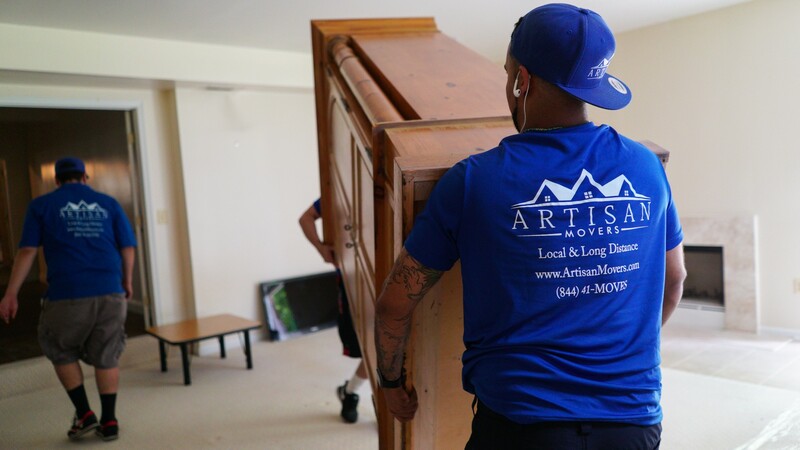 If you haven’t already, follow-up with your move coordinator and make sure they have the destination address and the best phone numbers where you can be reached during the moving process. Also, if this applies to you, confirm any extra stops that may be required to pick up or deliver goods to a location other than the main pickup or delivery locations. If your vehicle is being relocated as well, be prepared to take it to the site where it will be loaded onto the truck for auto transport. Also be prepared to pick up your vehicle at your destination location; again, your move coordinator is here to assist you so don’t be afraid to reach out if you have any questions. Consider making the arrangements to schedule the disconnection of your cable, internet, electric and any other services you currently use and have those services arranged to be turned on at your new home. Tackling this task at an earlier date will prevent any date and time conflicts you may incur. A added comfort tip is if you need new blinds, curtains or furniture for your new home, buy them now and have them arrive at your new home when your belongings do. Start the planning of where your belongings will go in your new home if you haven’t already. If you’re moving long distance and feel up to it you can create an inventory of your belongings so that you can compare it against the moving company’s list to ensure you don’t lose anything in the move. It’s also a good aid in determining how much moving insurance you may need. Make an unpacking plan for the new home — who does what and diagram where the furniture goes. Some movers depending on who your hire will not rearrange your furniture for you, but it doesn’t hurt to ask, so think through where you want all your large items to go. It may be necessary to switch banks because your current bank doesn’t have a branch in your new hometown. Research the most convenient and popular banks in the area you will be living in so that you can close and open new bank accounts as needed. Check the requirements for a new driver’s license and complete the auto registration at your new motor vehicle registration location. If your move is of the international variety, make sure your passport is up to date and has not expired. Passports can generally take three weeks to process. If you haven’t already let service providers — landscapers, cleaning services — know you’re moving, and look for new ones in your new hometown if you haven’t done so already. If time permits, you may also want to take you and your family to get any routine checkups done like a visit to your dentist and/or eye doctor. It may take some time for you to find new family dentists and doctors in your new city that you are comfortable with. It could be a good idea to take care of these things while you still have access to professionals that you know and trust. Will you be driving a long distance to your new humble abode? Make sure your car is ready for the voyage by considering a possible oil change, checking the tread on your tires and their pressure and maybe even make sure your battery life is looking good. Do you have a green thumb? Make plans on how you’ll transport your plants (they cannot be moved in the truck). Inform your friends and family to make sure the important people in your life know about your move and how to stay in touch with you. Now would be a good time to start scheduling any goodbye parties or farewell stops. Do you have any children? Start preparing them for the transition. Give them time to say goodbye to important people and places they may hold dear. If you are flying, make sure you book your air travel and any other necessary transportation you may need to complete the voyage. Book any hotels or stops you may need to make along the way and set aside any items you’ll need for the trip so they don’t get packed accidentally. If you’re packing yourself, get a good head start now so you aren’t overwhelmed at the last minute. Books, out of season clothes and decorative items are a great place to begin the process. If you’d like, send rugs and drapery out for cleaning. Leave them wrapped for transit once they are returned to you unless you’re moving company will be doing so. Have any antiques or high-end items you need moved? Get them appraised in writing before the relocation. Get receipts for any big ticket items and keep them with you, just in case. Consider scheduling an appointment with a service technician to prepare any major appliances for the move if any are going along for the ride. Drain the fuel and oil from your power mower, and discard or recycle the propane tank on your grill. Confirm the date that all of your utilities will be finally disconnected. Now would be a great time to confirm travel arrangements for pets and family to you new home. Plan your meals for these last couple weeks to ensure all your food is used up and hopefully none goes to waste. Should you have non-perishable food items left after your move that you plan on throwing away we can collect them on behalf of Move for Hunger and donate them to a local food bank on your behalf. It’s always a nice idea to put a folder together of important info about your house for the next home owner. Make arrangements to take off from work on moving day: Let your office know that you plan to supervise the move and therefore need to take the day off. Tune up: If you haven’t done so already and plan on driving your care over a long distance for the move we recommend you take your car to a garage, and ask the mechanic to consider what services might be needed for the trek. It’s also a nice idea to get tune up recommendations if you’re moving to a new climate. Grab your cash and jewels and clean out your safe-deposit box! 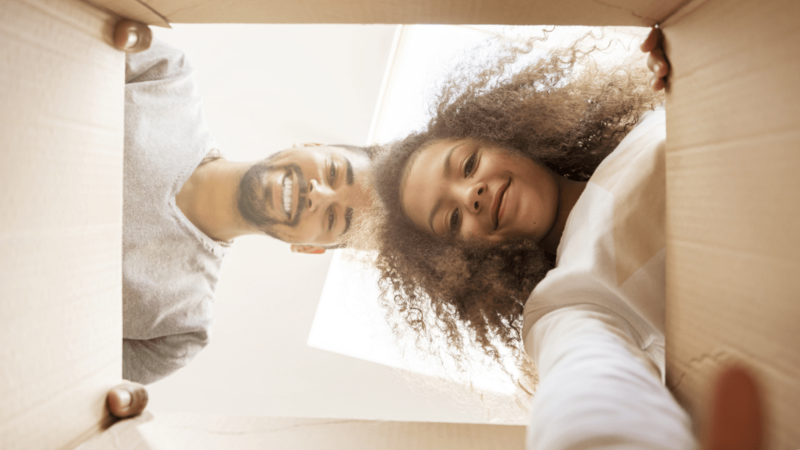 If you’ll be changing banks, remove the contents of your safe-deposit box and put them in the safe box that you’ll take with you on moving day. Contact the moving company you’ve scheduled your relocation with and reconfirm the arrangements. Make sure travel plans have been arranged for your furry (or otherwise) loved ones. If you need to leave them with friends for a bit or board them let’s confirm those plans now. It may be a good idea to consider taking your pets to the vet and ensure you have any required health certificates or inoculations – every state has different requirements. Return anything you have borrowed from friends or neighbors…or…maybe not…mwah ha ha. Make sure nothing is being left behind at the dry cleaners. Let’s make very sure you have not forgotten any of the critical items on this list. Have you packed up or gotten rid of everything that’s not moving? 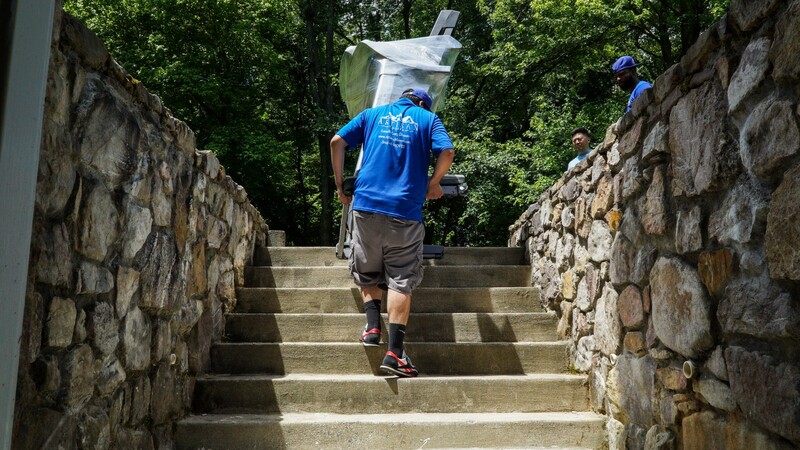 Have you confirmed and reconfirmed all the details with your move coordinator? If you haven’t already now’s a good time to begin cleaning any rooms in your house that have been emptied, such as closets, basements, etc. and check to make sure you haven’t left anything unpacked. Make arrangements to get your new home cleaned, as well as the home you’re moving out of. Also, if you plan on having the carpet or wood floor cleaned or have any painting done at the new home, arranging for those services to be done before the move in which would make life and the transition much easier into your new home. Check for pharmacies in your new town that you can transfer your family’s prescriptions over to. It may be nice to ensure you have enough required medication in case you don’t locate a new pharmacist/doctor immediately. Organize all of your important documents – such as your will, passports, deeds, financial statements; it may be a good idea to make copies that you can pack with your household goods, but carry the originals with you. If you decide to pack yourself, label all moving boxes as you pack. Write the destination room on the top and sides of each moving box to ensure it gets to the right place in your new home. 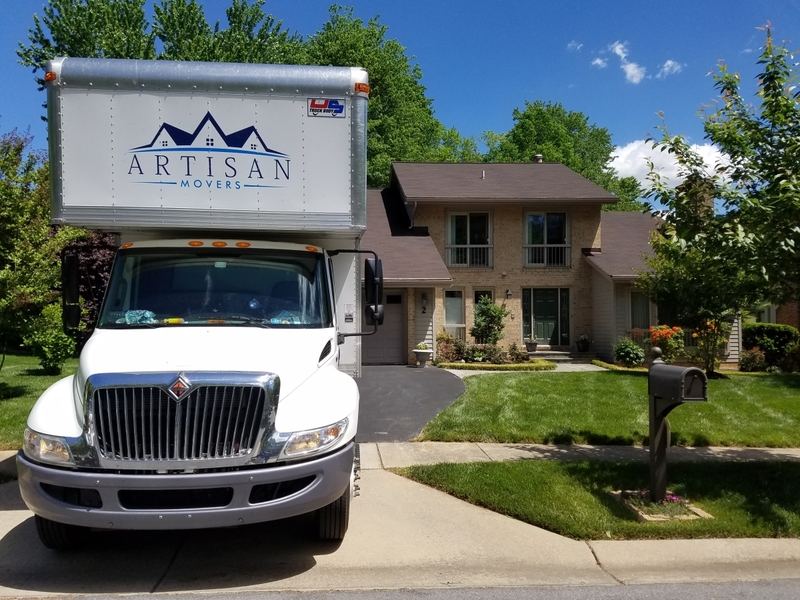 If you’re pressed for time, or overwhelmed with packing, Artisan Movers offers full-service packing. Pack your suitcases: Aim to finish your general packing a few days before your moving date. Particularly if moving long distance pack suitcases for everyone in the family with enough clothes to wear for a few days. Last minute details: Make sure that all mechanical and electrical equipment is properly serviced for shipping prior to the arrival of the moving truck. As always, reach out to your move coordinator with any questions. As you’re packing, be sure you’re labeling each box for where it goes in your new home — if you don’t do this now, you might very well forget what’s in what box. Also, where applicable mark the boxes “Fragile”, “Do not load” or “Load last”. If you haven’t already call your mover and confirm your move date, and make any special arrangements for items like a piano. Confirm closing/move-in dates with your real estate agent; confirm dates with your storage people if storing any items short or long term. Start preparing your kids for the move. Talk about it, and engage them in the process — maybe they can help color-code boxes to help the movers know where stuff goes. A Few Days Before Your Move! Double-check the details: Reconfirm the moving company’s arrival time if you’d like as well as other specifics and make sure you have prepared exact, written directions to your new home for the staff. Include contact information, such as your cell phone number. If you’re feeling frisky and the staff has done a good job, 10 to 15 percent of the total moving fee is a good tip. Don’t forget that refreshments are always appreciated but neither are required! Arrange to be home and personally supervise your hired labor. Just try not to stand so close that you become a tripping hazard…ouch! Verify: Make sure that the moving truck that shows up is from the company you hired: The USDOT number painted on its side should match the number on the estimate you were given. Take inventory: Before the movers leave, sign the bill of lading/inventory list and keep a copy. Double check any arrangements you might have made to transport your pet. Do you have proper travel gear? Make sure you know what to do with final trash before the move. Once all belongings are loaded onto the moving truck, be sure to do one more walk through and lock all windows and outside doors, in addition to checking all lights and your thermostat are off before heading to your new home. Clean your new home if needed and make sure everything is in working condition and make any repairs before your movers arrive (if possible). Check your household goods as they are unloaded. If you notice any damage or that something is missing, personally report any of it to your salesperson or move coordinator. If there is any change in the condition of your property from what is noted on the inventory list, note discrepancies on the van operator’s copy of the inventory. By signing the inventory, you are acknowledging receipt of all items listed. When unloading, each piece of furniture will be placed as you direct, including placing of rugs and setting up any beds that were disassembled at origin. If necessary get a new driver’s license and automobile tags, register to vote, etc. Get your kids involved in the unpacking process, and help them find activities in your new town. 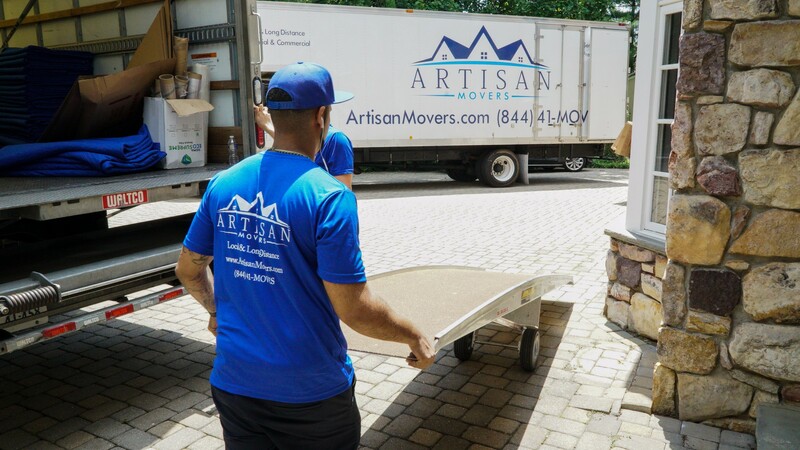 If you need assistance with unpacking Artisan Movers can assist with that as well. Did you get your moving deposits back yet? 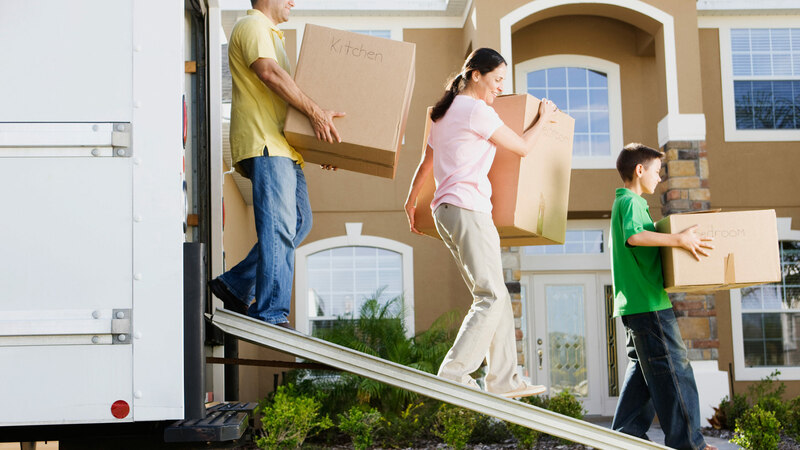 Or in many cases the deposit goes towards the balance of the move so make sure to check with your moving company. Explore the new town — get acquainted, find out where everything is, etc. 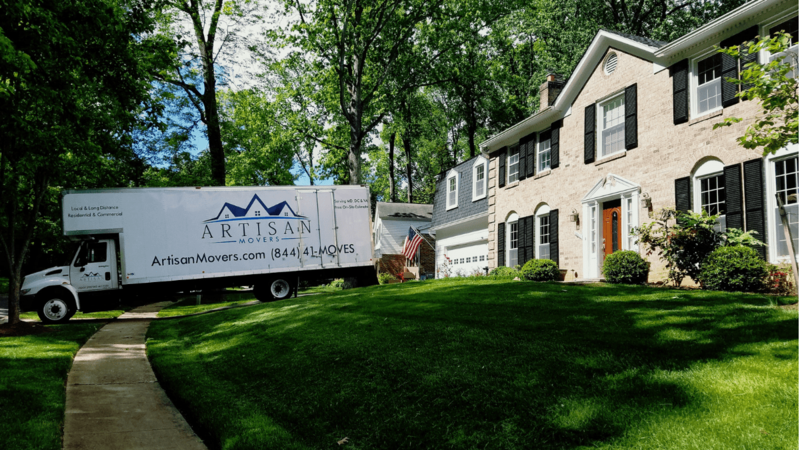 We hope that you found our ultimate moving checklist to be the most comprehensive and helpful list around for tips on preparing for your move. If you have any questions or recommendations for our list don’t hesitate to reach out to us. 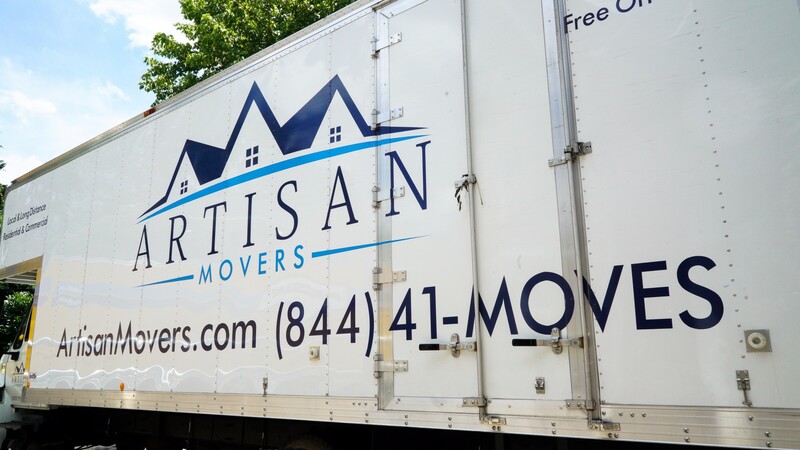 Thanks for visiting us at Artisan Movers.